Heading to Dubai for business or pleasure? Wondering if it is a good place to bring your kids? Well, Dubai has loads of attractions for the whole family, here are some of the top things to do in Dubai with kids! There is nothing kids love more than running around around in on the beach, building sand castles, and swimming. Dubai is home to some marvelous beaches. 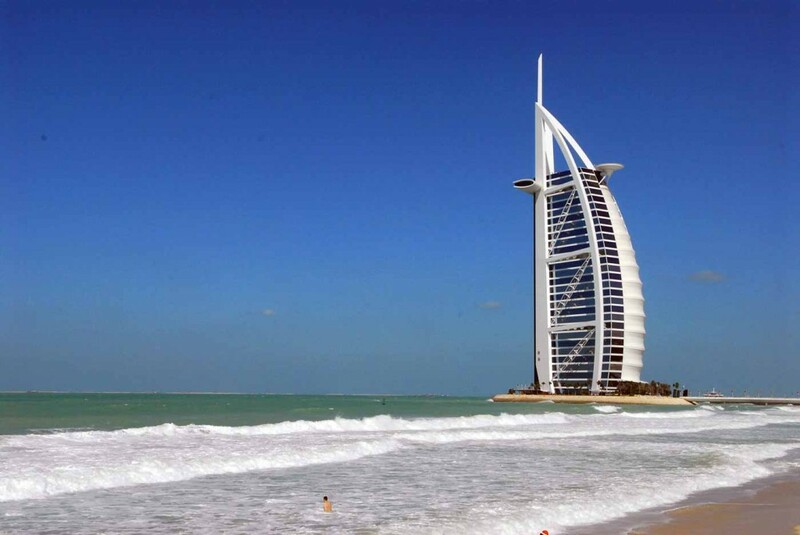 Marina Beach is one of the most famous as well as the slightly crowded Jumeirah Beach. Not surprisingly, Dubai has several man made beaches and even has an indoor beach! This laid back beach is famous for its beautiful sand and world class restaurants. So once the kids have worked up an appetite by playing in the surf all day, you don’t have to go far for a good bit to eat. Just remember to pack your sunscreen, because high temperatures average well over 100 degrees Fahrenheit. If your kids are craving more excitement, check out this wild waterpark Considered to be the best waterpark in Dubai, Aquaventure is definitely one of the top things to do in Dubai with kids. Besides the massive waterslides, the park also features an aquarium and a massive private beach. If you are feeling brave the park also features zip-lines. Be sure not to miss architectural wonder slide, “The Tower of Neptune.” This one of a kind slide,looks striaght out of Indiana Jones and is sure to make a memorable impression. If you and the family have had your fill of the sun and the sand, look no further than Ski Dubai. This modern marvel is a fully frozen, world-class, ski slope in the heart of one of the world’s most extreme desert climates. Open since 2005, Ski Dubai offers skiers (or snowboarders) 5 slopes of varying difficulty, including the world’s first indoor black diamond run. If your family is not skiers, this is still an exceptional attraction and offers sledding, snowballs, ice caves, toboggans, and even penguins! Did you forget to pack your parka on your way to Dubai (you wouldn’t be the only one,) well do not fear becaue Ski Dubai rents full winter wardrobes. As you can see there are plenty of things to do in Dubai with kids, from its breathtaking fountains, to astonishing buildings. Dubai is one of the best destinations to travel with a family. Dubai is truly an oasis paradise and a must visit for any family looking for something out of the ordinary. So next time you are planning a trip to the United Arab Emirates whether for business or for holiday, bring the whole family and enjoy the countless family friendly activities this mega city has to offer.